Just today, I've read an article about the Megaupload shuts down and on that post, they said that megaupload, one of the best file-sharing sites in the world, was shut down by the US officials because of $500 Million of copyright contents. Because of the fact that megaupload users can upload almost anything in related to computer, softwares, movies, music, etc..., companies who owned products that are being pirated, the companies are losing their incomes. 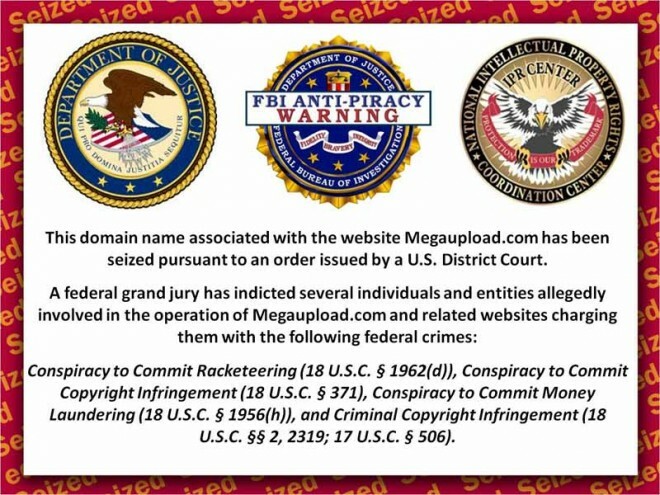 Megaupload shuts down yesterday,January 19 2012, Thursday, and it was done by the US officials. For me, I think it is a big disaster to other people especially computer and internet enthusiast because this is a file-sharing website. We can get pirated softwares instead of buying them. Like me, my thinking is: will you buy an excellent anti-virus software if you can download it for free in the internet? Of cou But sometimes we should realize that piracy is like a crime. It is like stealing others work.